Concept Soccer Sevens 2018/19 Kicks Off! Ellie McAllister (11) P7 at Holy Cross Primary in Croy, St Mirren winger Myles Hippolyte and Gabriel Forsyth (11) P7 at Holy Cross Primary. 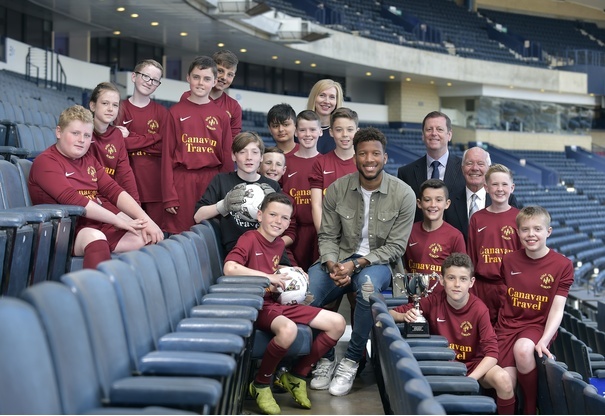 The annual Scottish Schools Football Association (SSFA) Soccer Sevens Competition has kicked off but it’s already scored a hat-trick of ‘firsts’ - as the 2018/19 tournament has a new sponsor, a new name, and a new goal of supporting the STV Children’s Appeal. The STV Children’s Appeal helps children and young people affected by poverty in Scotland. Every single penny raised for it stays in Scotland - 100% of donations is invested in charities and projects across the country as all of its overheads are met by STV and The Hunter Foundation. 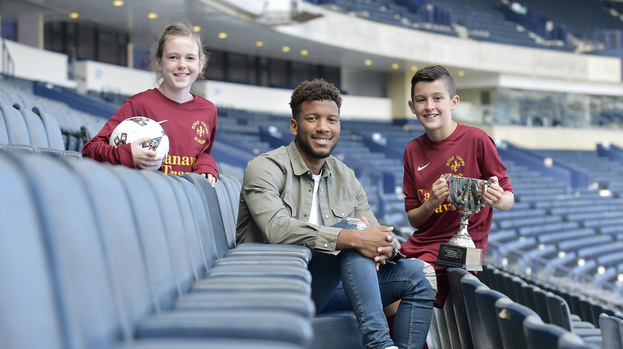 SSFA has contacted every school in Scotland to invite them to participate in the Concept Soccer Sevens 2018/19 by entering teams and getting them - and perhaps their year-group peers or other classes in their school - involved in fundraising for the STV Children’s Appeal. SSFA is suggesting each school taking part in the tournament raises a minimum of £100 for the charity.